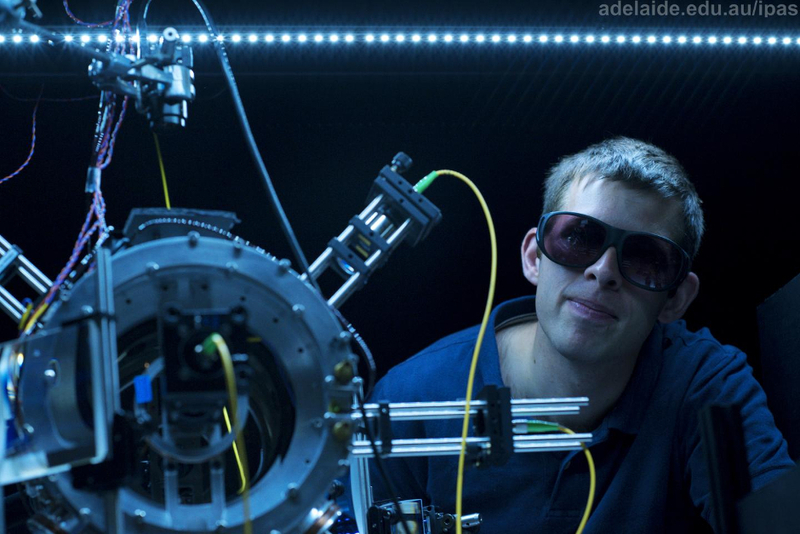 University of Adelaide researchers have created a tractor beam that traps atoms, a development that could herald a new era of quantum sensing capabilities. According to the University, the tractor beam – or light-driven energy trap – pulls atoms into a microscopic hole at the centre of an optical fibre, opening the way for new quantum experiments that could lead to new secure communications or advanced sensing technologies. Published in Physical Review Applied, the researchers from the University’s Institute for Photonics and Advanced Sensing (IPAS) said this is the first time that scientists have been able to demonstrate a highly efficient ‘waveguide trap’. Ashby Hilton, the PhD student who developed the technology, said: “The trap is made of invisible infra-red light. The beam grabs hold of atoms that are floating in a chamber that is almost completely emptied of gas. The researchers are now said to be moving onto the next stage in which the tractor beam is formed from a hollow cone of light rather than a solid beam of light. In this new configuration the atoms will be held at the centre of the light cone where it is perfectly dark. “This is an extremely powerful idea – we can move and manipulate the atoms, but are able to shield the atoms from the disruptive effect of intense light,” said Dr Light. The researchers have essentially created a quantum funnel which allows them to guide and trap atoms for longer without disrupting their delicate quantum state. My question is whether it is possible to analyze the concentration of these atoms that are trapped, and are the traps tunable to only pick up sodium, for example, and reject potassium? If a particular element can be selected for analysis in this rarefied vapor, this might be of particular use in some arenas where high purity conditions need to be maintained.